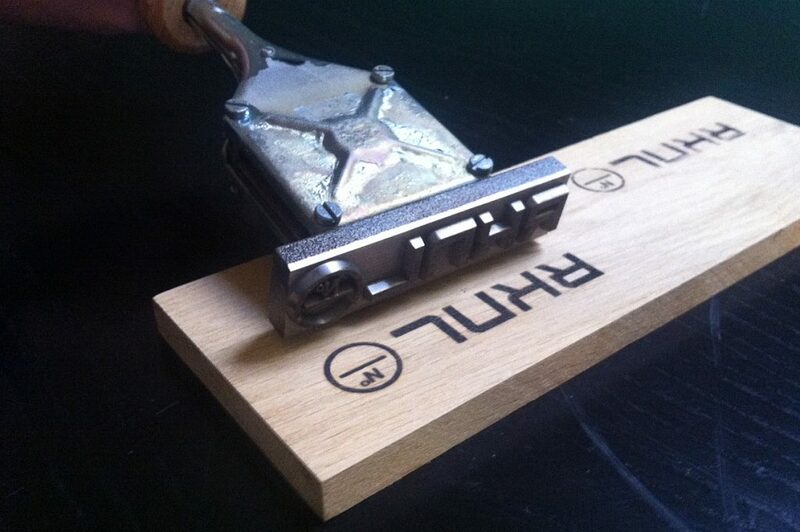 We just finished testing the wood burning stamp with RKNL logo today. As from now, all our wooden products (like the dining table One) will be provided with a burning stamp. Each table will be numbered as well to show the unique character of the product. Also, this branding will ensure the buyer that it is a genuine RKNL product. We chose to use this ancient burning technique to emphasize the artisanal character of our products. Each product is made by a craftsman who will also sign the certificate which comes with each piece.